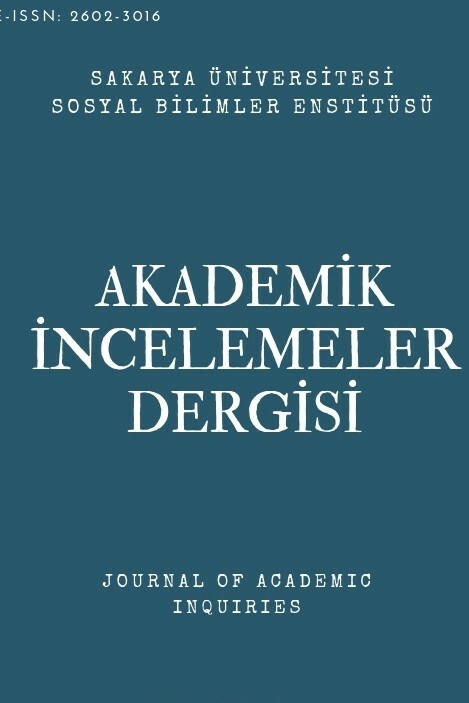 The Journal of Academic Inquaries (AID) is a peer-reviewed journal published twice a year by the Institute of Social Sciences of Sakarya University in April and October. AID is an academic journal that aims to contribute to the accumulation of knowledge in the field of social sciences by publishing scientific studies at national and international level. The publication language of the journal is Turkish. In addition, scientific articles in English are also published. The articles to be sent to our journal should be submitted with the user account opened through the Dergipark. There is no fee for the published articles in our journal. Articles submitted to the journal are subject to double-blind peer-review process. Besides, in order to avoid plagiarism, all articles are passed through a plagiarism scan with the iThenticate program. German Language and Literature, Physical Training and Sports, Geography, Labor Economics and Industrial Relations, Translation Studies, Philosophy, Philosophy and Religious Studies, Financial Economics, Folklore and Musicology, Traditional Turkish Arts, Visual Communication Design, Public Relations, Economy, Communication Sciences, Islamic Economics and Finance, Islamic History and Arts, Cultural Studies, Finance, Ottoman Studies, Recreation, Painting, History of Art, Ceramics and Glass, Political Science and Public Administration, Social Works, Sociology, Sports Management, History, Basic Islamic Sciences, Tourism Management, Turkish Language and Literature, International Relations.